shopspaViolet is Serious Skin Care, Serious Fun: Are Your Bases Covered? 1. Are you using enough ? The protocol for sunscreen application is 2 milligrams per square centimeter of skin, most of us are not using enough. "People who apply SPF 30 are usually getting the efficacy of a 10 or 15," says Steven Q. Wang, the director of dermatology surgery and dermatology at Memorial Sloan Kettering Cancer Center in Basking Ridge, New Jersey. "Most people apply one milligram-instead of the recommended two milligrams-per square centimeter of skin, so they're getting about half of the SPF value on the label." Try applying several thin layers of broad-spectrum sunscreen, like UV Pure Broad Spectrum SPF 47 by EltaMD. 2. Slap it on then you're done ? No way ! Most sunscreens work for maybe 2 hours. If you are inside for most of the day your morning "slap" should work. Going outside to grab a coffee or lunch ? You will need to re-apply. 3. Sunscreens are only found in a tube. Nope, try sun-protective clothing. Add a large and floppy hat and protective clothing to your sunscreen routine. 4. Sunglasses ? Yes. Aside from protecting your eyes ( eyes can become sunburned ), there will be a lot less squinting. Not good for those "character" lines around eyes and on the forehead. 5. Cover all of your bases. There are spots everyone misses. Remember to cover brows, hairline and that hard to reach spot in the middle of your back. Not double jointed, ask for help. And apply 30 minutes before heading out, give your sunscreen time to penetrate. 6. Read the ingredients. 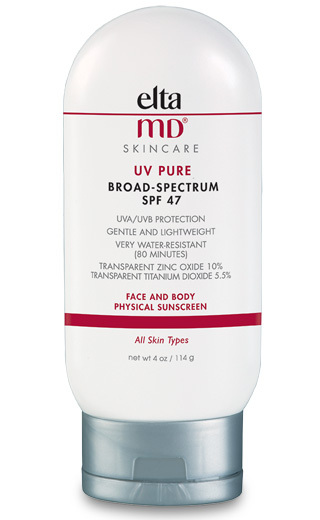 Only 4 protect against UVA1 rays, which causes aging and DNA mutations that can lead to skin cancer. The most effective, avobenzone is not stable in sunlight unless paired with octocrylene. If a physical block is more your taste zinc oxide is the best option. Try Blue Lizard Australian Sunscreens to "cover" all of your "bases". 7. Sunscreen only at the beach ? Even 5 minutes outside without sunscreen is bad. The sun immediately activates a reaction that damages DNA in unprotected skin cells and will continue long after back inside. Apply whether running errands or whether it is cloudy. 8. Umbrellas will do the job. No Mam. 78% of participants sitting under an umbrella without sunscreen burned. Use both. 9. Make it easy. Find a sunscreen with a broad spectrum, hydration, tint and anti-aging ingredients like Intellishade by Revision Skincare. And stick the tube by your toothbrush so you don't forget to apply.